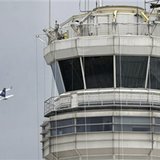 WASHINGTON — The Federal Aviation Administration told a government watchdog nearly two years ago that it was prepared to let air traffic controllers sleep or rest during work shifts when they weren’t directing aircraft. It still hasn’t happened. When the FAA proposed new limits on airline pilots’ work schedules to prevent fatigue last year, it rejected its own research recommending that pilots be allowed to take naps during the cruise phase of flight — typically most of a flight when the plane is neither climbing nor descending — so that they are refreshed and alert during landings. And an FAA committee that has been working for several years on new work rules to prevent fatigue among night-shift airline mechanics has made little progress, said one committee member. Allowing naps during breaks on overnight shifts was dismissed as a nonstarter. In a 24/7 industry like aviation, fatigue is a fact of life. Managing work schedules to minimize fatigue can make the difference between life and death. There have been 14 aviation accidents with 263 fatalities since 1993 in which fatigue was cited as the cause or a contributing factor, according to the National Transportation Safety Board. Yet the FAA has struggled unsuccessfully for decades to revamp workplace rules for controllers, pilots and mechanics despite a consensus that fatigue is one of the industry’s most pressing safety issues. While recognizing the problem is easy, developing workable solutions acceptable to airlines, labor unions and government regulators is tough. Money is a factor. So are public perceptions. The issue has taken on a new urgency after at least five recent incidents of controllers falling asleep on the job while working overnight shifts. In two cases, controllers have been fired. In a sixth incident, a controller working an overnight shift was suspended for watching a movie on a portable DVD player while he was supposed to be monitoring air traffic. Present and former controllers have told The Associated Press that it’s not unusual for controllers on overnight shifts at radar facilities when traffic is light to watch movies, play online poker, and read magazines to help them stay awake. The alternative, they said, is to spend eight hours in a dimly lit room staring at a radar scope while trying not to fall asleep. The controllers asked not to be identified so as not to jeopardize their jobs or the jobs of coworkers. Industry and labor officials give FAA Administrator Randy Babbitt credit for doing more than past agency chiefs to address the fatigue problem. Last year, the agency proposed the first new limits on work schedules for pilots in decades. But industry-supported legislation in Congress, if passed, could create major obstacles to the rules becoming final. Babbitt also signed a contract with the National Air Traffic Controllers Association in 2009 that, among other things, required the agency create a working group with the union to address controller fatigue. FAA held off on its plan to allow sleep or rest by controllers during their shifts when not working air traffic to allow the working group time to address the issue, said spokeswoman Laura Brown. In January, after a year and a half of work, the group briefed Babbitt on 12 recommendations. One was that controllers be allowed sleeps breaks for as long as two hours when working overnight shifts. Sleep experts say scheduled naps during night shifts — especially between about 1 a.m. and 5 a.m. when even well-rested people naturally crave sleep — help keep workers alert when they return to their duties. Another recommendation was that controllers be allowed to sleep during the 20 to 30 minute breaks they typically receive every few hours during day shifts. Currently, the FAA forbids sleeping on the job, even during breaks. Babbitt was “abundantly enthusiastic about us moving forward,” said Peter Gimbrere, who is spearheading the controllers association’s fatigue effort. But the administrator and Transportation Secretary Ray LaHood flatly rejected both nighttime naps and on-break snoozes after publicity about controllers falling asleep. Paul Rinaldi, the current controllers association president, said Friday that he intends to press the FAA to adopt all 12 recommendations. “The recommendations are based on advice from NASA and the military and in line with international air traffic control best practices,” he said in a statement. Actions the FAA has taken recently to address the fatigue problem — adding a second controller on overnight shifts at more than two dozen airports and giving controllers an extra hour between work shifts — have “barely scratched the surface,” he said. FAA is reviewing the recommendations, Brown said. Curt Graeber, a former NASA scientist who conducted FAA-funded sleep studies of pilots, wasn’t surprised that the FAA hasn’t embraced napping for controllers. Graeber was a member of an FAA committee in the early 1990s that drafted an advisory to airlines permitting pilot napping and setting out ground rules. “We thought everything was fine. We submitted the draft advisory circular (to the FAA), everyone agreed with it, and then everything stopped,” said Graeber, now chairman of the International Civil Aviation Organization’s fatigue task force. But other countries and the European Aviation Safety Agency used the FAA draft circular and research to write their own regulations permitting pilot napping, he said. Many pilots acknowledge privately that they’ve dozed off in the cockpit at times, especially while cruising when the workload is light. But critics say there’s greater risk in not having two pilots available at all times than there is that a pilot may doze off. Meanwhile, the FAA’s committee working on new work rules for reducing fatigue among aircraft maintenance workers “is going nowhere,” said safety consultant John Goglia, a former NTSB board member who began his career as an airline mechanic. But that doesn’t mean mechanics aren’t struggling to stay awake, especially during slow periods, Goglia said. “Everybody who works nights in aviation knows if you’re not busy you’re going to fall asleep because you’re chronically fatigued,” he said.